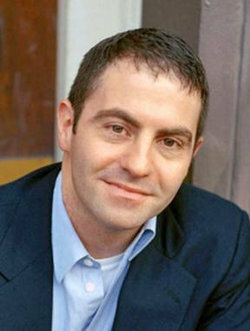 Christopher Capozzola specializes in the political and cultural history of the United States from the late nineteenth century to the present. He graduated from Harvard College and completed his Ph.D. at Columbia University in 2002. At MIT, he teaches courses in political and legal history, war and the military, and the history of international migration. His research interests are in the history of war, politics, and citizenship in modern American history. His first book, Uncle Sam Wants You: World War I and the Making of the Modern American Citizen (Oxford University Press, 2008), examines the relationship between citizens, voluntary associations, and the federal government during World War I through explorations of military conscription and conscientious objection, homefront voluntarism, regulation of enemy aliens, and the emergence of civil liberties movements. Professor Capozzola is also active in public history. He is Co-Curator of “The Volunteers: Americans Join World War I. 1914-1919,” the largest historical exhibition commemorating the centennial of America’s First World War, and has also worked as an Associate Curator for “Palaces for the People: Guastavino and America’s Great Public Spaces.” He also serves on the editorial boards of the Law and History Review and the Oxford Reference Encyclopedia in American History and has published articles and essays in American Quarterly, Georgetown Law Journal, Journal of American History, Journal of Women’s History, New England Quarterly, and Rethinking History, as well as in popular periodicals including The Boston Globe, Christian Science Monitor, The Nation, New Labor Forum, The Philadelphia Inquirer, and the Washington Post. You can find the full version of Capozzola’s short biography here. You can find the German version of the interview here. >> How present is World War 1 in the collective memory of your country? At first glance, World War I is almost completely absent from collective memory in the United States. Last year I was in Canada right before November 11, and was struck that almost everyone, young and old, was wearing a poppy to commemorate the war and honor Canada’s veterans. In the United States, by contrast, while November 11 is a national holiday, few people remember it specifically as a date specifically connected to the First World War. That said, when you take a second look at the United States, you can see the war’s significance in unspoken ways and places. Take, for example, James Montgomery Flagg’s 1916 poster, “I Want YOU.” This image of Uncle Sam is probably one of the most familiar expressions of the political culture of the United States. Yet if you asked most Americans to identify it, they would probably guess it was produced during World War II or even the Civil War. Because the Civil War and World War II play such enormous roles in shaping American national identity, World War I is generally overlooked. By contrast, the war’s centennial has received enormous attention in Europe—not only because of the role it played in European history, but also, I think, because it gives people there a space to think about the meaning of “Europe” as a political and cultural idea at a time when that is highly contested. >> How does the commemorative culture of your country become evident (memorials, events)? In general, commemorative culture in the United States takes the same forms as it does in other societies. The National World War I Museum in Kansas City is an excellent museum and there are monuments in towns and cities all across the country. One might add to the list several recent films, such as Flyboys or War Horse. Perhaps one thing that is unique is that Americans—who as a society have more passion for genealogy than any other nation I know—often approach the war through family history. On the official level, there is a World War I Centennial Commission, but the legislation that established it announced that no federal funds would be used to pay for its work. So the commission has been significantly limited in its ability to do its work. >> How is the question of the origin of the war (guilt) assessed among American historians today? Like historians around the world, U.S. historians are using new sources and new approaches to rethink the question of responsibility for the First World War. Personally as a scholar I think it is important to step away from a word such as “guilt” and focus instead on “responsibility.” This is not to close off personal or national reflection on “guilt,” which is an important task as we contemplate the millions of soldiers and civilians who died between 1914 and 1918. But to me, “responsibility” makes possible a conversation about causation and contingency, for which historians are better equipped. For a long time, there was general agreement among historians in the U.S. that while an array of missteps pushed the European powers into war in the summer of 1914, the long-term roots of the war lie in European imperial rivalries. In particular, German militarism (and British overreaction to it) generated the conditions that made it hard to avoid war when the July crisis came. There has been some questioning of that narrative recently, but not enough to challenge the standard story. >> How is Wilson’s and the US government’s policy of neutrality („He kept us out of war!“) that they practiced until the entry of the war in 1917 assessed today among historians and the American public? I think most Americans who know anything about the neutrality period between 1914 and 1917 would associate it with a general (and inaccurate!) assumption that Americans are reluctant to get involved in wars outside the United States. American historians, however, have recently given us some exciting new research that shows that neutrality did not mean “indifference” or “passivity.” Americans closely followed events in Europe, donated food and funds to Europe, and debated the meaning of the war for U.S. foreign policy. And thousands chose to go to Europe as volunteers, as nurses, ambulance drivers, soldiers, and pilots. Americans were very involved, even if the United States government was not. In fact, this is the focus of a museum exhibition that I am co-curating that will be on view at the National World War I Museum, the Musée Würth in Strasbourg, and other venues between 2015 and 2018. It’s a story more Americans—and more Europeans—should know. >> Woodrow Wilson’s League of Nations failed, but the concept of a liberal world order is still of central importance up until today. How did the consequences of WW1 influence US foreign and security policy? The First World War transformed the United States and its relationship with the rest of the world. Mobilization for war centralized a great deal of power in Washington that remade individual Americans’ relationship with the federal government. And it left the U.S. state more capable after 1918 than it was in 1914: a bigger budget, more employees, a larger standing army. Much of that power was wielded abroad, particularly in economic and cultural realms, as the dollar replaced the British pound as the world’s reserve currency, and as the U.S. culture industry spread movies, records, and consumer goods throughout the world. In that sense, we can see in the postwar period some of the “soft power” that is so often discussed today. >> Two ideologies were pitted against each other after the end of WW1. Wilson’s liberal world order is said to be an alternative concept to communism. Could this be seen as the root of the Cold War? Yes, I think it’s absolutely crucial to see the roots of the Cold War rivalry between the United States and the USSR going back to 1917. The Bolshevik Revolution shocked Americans because socialism was now not just an idea, but a reality. And for many Americans, the secularism of Soviet Russia was at least as threatening as its economic reforms. Wilson’s vision of a liberal world order was quite deliberately a response to the Bolsheviks. The timing and content of his famous Fourteen Points—of which the proposed League of Nations was the most crucial—were aimed at winning over the political loyalties of the European people. It was a “war to end all wars,” but it was also a peace to prevent Bolshevism. The Bolshevik Revolution also generated a Red Scare at home in the United States, leading to the prosecution of political radicals and the deportation of several hundred—Emma Goldman perhaps the best-known of them. And finally, it is worth remembering that the United States sent more than 7,000 troops to intervene in the Russian Civil War. Few Americans even know about the Siberian Expedition.